The Scottsdale Arabian Horse Show has been raising funds for worthy charities since 1955. The annual event is sponsored by the Arabian Horse Association of Arizona. Each year the Scottsdale Arabian Horse Show attracts thousands of visitors who will watch over 2,000 Arabian and Half-Arabian horses vie for prize money in various classes of competition. 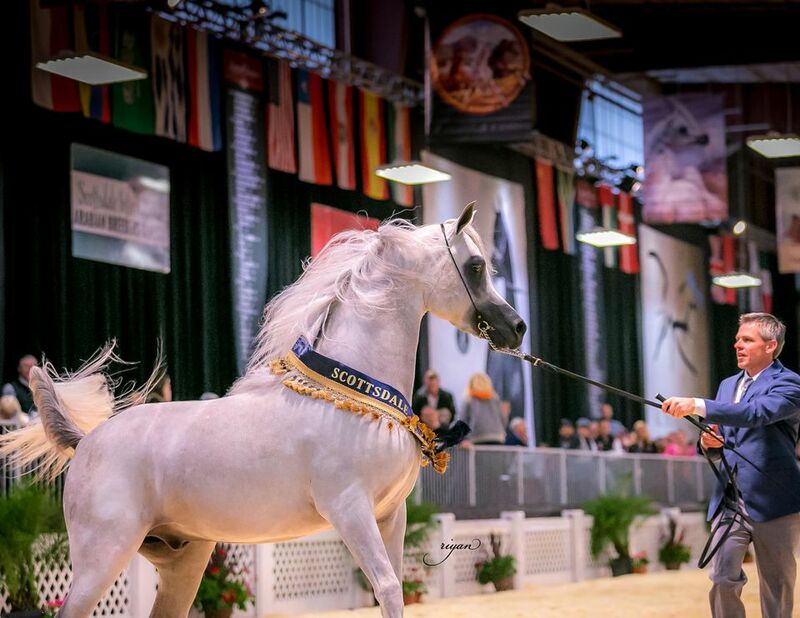 If you are an Arabian horse owner, a horse rider, or just a horse lover, the Scottsdale Arabian Horse Show is a one-of-a-kind event that should not be missed. When you aren't watching the horses and riders, you can enjoy the more than 300 vendors and exhibitors on the trade show floor. If it's a horse item you want, you're sure to find it here! In 2019 the Scottsdale Arabian Horse Show will take place from February 14 - 24. There are morning, afternoon, and evening sessions. You can see the detailed schedule of events here. Here's a map with directions to the Scottsdale Arabian Horse Show at WestWorld. Tickets may be purchased at the gate at WestWorld. Want to skip the line at the Box Office? Tickets may also be purchased in advance online through Ticketmaster.com and a convenience charge is applied. Keep in mind that evening sessions do sell out, especially in reserved seating. Check online for more packages and VIP experiences. On Tuesday, February 19 admission is free to all veterans and their families, ID required. On Friday, February 22 the evening session is Family Fun Night, and admission is free. If you are attending one of the daytime events at the Scottsdale Arabian Horse Show, there's probably no need to buy tickets in advance and pay extra fees. The evening shows, however, do sell out, so if you don't want to take a chance on missing those events, you might buy those tickets in advance. Aside from watching stunning horses and riders compete in the ring, there are behind-the-scenes tours, activities for kids, seminars and classes. Check the schedule of events. Here are some recommended hotels in North Scottsdale, near WestWorld. For more information, contact the Scottsdale Arabian Horse Show at 480-515-1500 or visit Scottsdale Arabian Horse Show online. Bands. Shows. Phoenix, AZ Calendar for June!